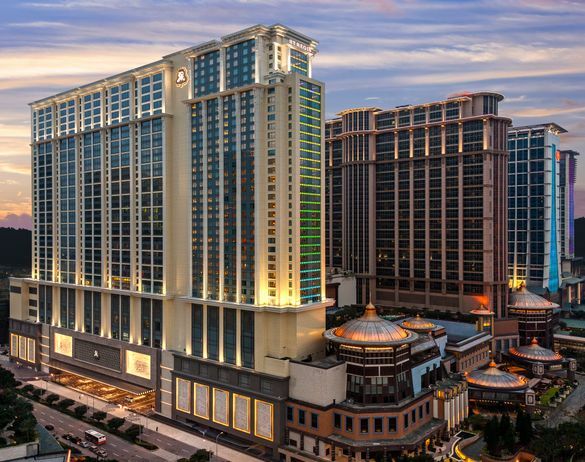 (Macao SAR, – Located in one of the most vibrant cities in Asia, The St. Regis Macao, Cotai Central is situated in the heart of Macao’s Cotai Strip. Stylish and modern, the hotel spoils visitors with service built upon the legacy of the St. Regis brand while taking in the best the destination has to offer with Stay Exquisite. Upon arrival, guests will check in to a Deluxe Room with sweeping views of the Cotai Strip, and will be welcomed by their personal Butler. The St. Regis Macao offers the signature St. Regis Butler Service for every guest room, a first of any hotel in Macao. This 24-hour anticipatory service will customize each guest’s stay to their specific needs, tastes and preferences. Throughout their stay, guests can sample international and Portuguese-inspired cuisine at The Manor, the hotel’s oyster bar and grill, or unwind to live jazz at The St. Regis Bar, a timeless yet contemporary cocktail bar. For those seeking a spot of pampering, Iridium Spa offers a range of indulgent therapies that include its signature personalized gemstone treatment. The hotel also offers outdoor swimming pools with specious decks and private cabanas, along with a 24-hour St. Regis Athletic Club. The exquisite stay continues the morning after with a hearty breakfast at The Manor, where guests are spoiled for choice with an array of Portuguese and Western favorites. The buffet spread includes a made-to-order egg counter specializing in delectable omelets, a section of freshly baked breads and pastries, hot dishes and a dessert table for those who need an early sugar fix. For guests who wish to sleep in during their relaxing vacation, they can opt for a lunch for two at The Manor instead. Stay Exquisite starts from HKD1,888++* per night, and is valid for stays from now until June 30, 2019. Terms and conditions apply. For more information about The St. Regis Macao, please visit www.stregismacao.comor call +853 2882 8898. The St. Regis Macao, Cotai Central is the most prestigious address on the Cotai Strip. The hotel offers 400 exquisitely styled and lavishly appointed guestrooms and features The Manor, a multi-experience dining destination, with five unique venues and The St. Regis Bar, an inviting retreat showcasing the full St Regis Bloody Mary World Collection, including The St. Regis Macao original recipe –Maria do Leste (Mary of the East). The Iridium Spa, on Level 38, is Macao’s highest spa, boasting sweeping views of the stunning Cotai Strip and offers indulgent, personalized Gemstone treatments. For meetings and events, the regal, 628-square meter Astor Ballroom is perfect for gala celebrations, distinguished corporate events or momentous weddings and is seamlessly connected to the Sheraton Grand Macao Hotel on Level 5. For more information, please visit: http://www.stregismacao.com/ or follow The St. Regis Macao on Facebook, Instagram and WeChat@stregismacao.